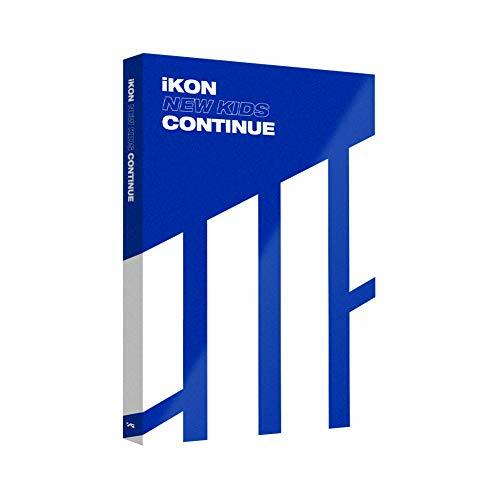 YG Entertainment Idol Goods Fan Products YG Select iKON MINI ALBUM NEW KIDS : CONTINUE BLUE VER. by YG Entertainment at WA Tunes. Hurry! Limited time offer. Offer valid only while supplies last. Official YG Entertainment Goods and Merchandise from YG Select.Pre-Order from July 30th 2018 to August 6th, 2018. Release Date on August 6th, 2018. Pre-Order from July 30th 2018 to August 6th, 2018. Release Date on August 6th, 2018. Available in 2 versions of Red and Blue. + RANDOM SELFIE PHOTOCARD (1EA/1OF7), POSTER (RECEIVE 1 PER ALBUM). [NEW KIDS : CONTINUE] is the finale to iKON's NEW KIDS series. It's talks about the aspiration to continue, develop, and move on. pluck synth riff and melody; creating a new and unique sound, with beautiful and meaningful lyrics on top. iKON is back with a new and better style; perfect for all ages, young or old! Be sure to listen to [NEW KIDS : CONTINUE]. damaged during the shipping process. able to control the occurrences during the shipping process.